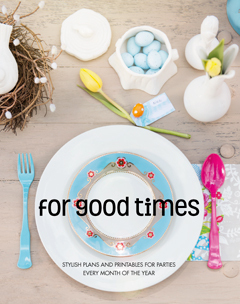 This week, we are lucky enough to be giving away the latest book from my favourite party shop, In Good Company, called For Good Times. We recently reviewed it here and it is packed with great party ideas, themes, recipes and games. To enter, please fill in your contact details below. Competition is only open to Cape Town residents. Prize to be collected from Constantia Hills. Entries close on Friday 4 July at 10:00.